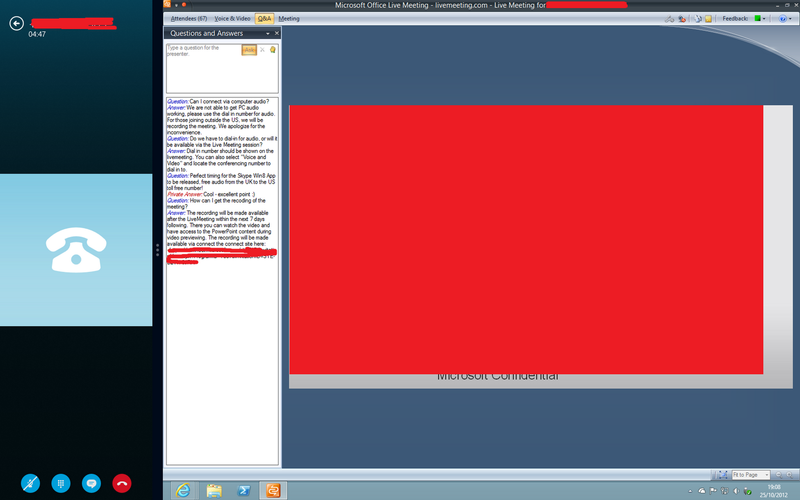 Microsoft System Center Suite: Windows 8 Skype App to the Rescue! 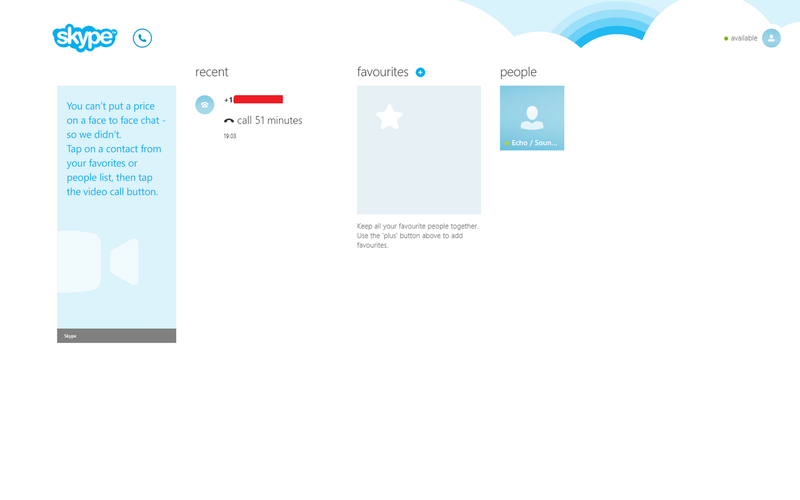 Windows 8 Skype App to the Rescue! Sweet... That about sums up my thoughts for the new Skype App. Not that I've used it in anger or that I'm a long time Skype user, no. 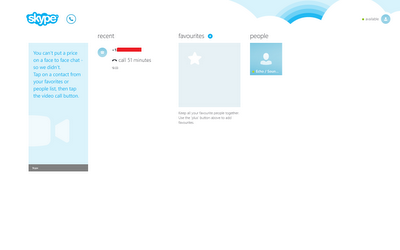 In fact, before today, I've never used Skype. Of course I had heard of it and was aware what it did, just that I've never had a need for it. Until today. Just hours after it being released I found myself on a conference call where the only available audio option was via dialling the states. Say what?!?!? Hang on, I'm on a mobile here in the UK, this is going to get expensive really quickly. So knowing that Skype had just hit the store I quickly installed it (I love one click installs!) 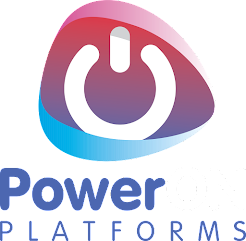 it used my Microsoft ID to single sign on (SSO) straight in, allowed me to dial a US Toll Free number as if I was in the states and then docked nicely to the side while I watched the presentation.